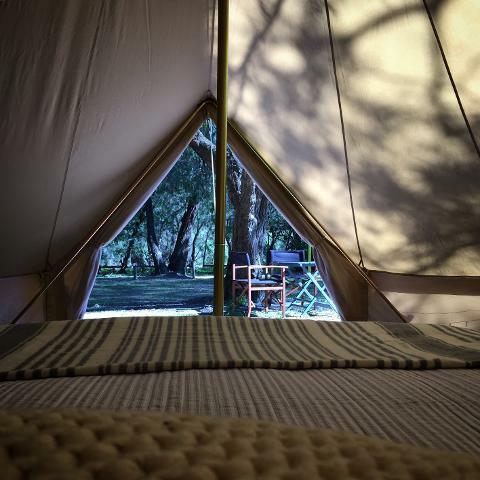 Get out under the stars in luxury. 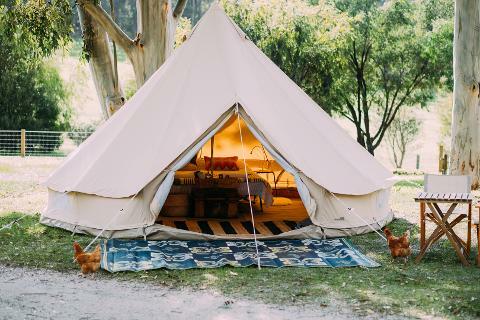 Our Delux 5-meter Luxury Canvas Bell Tents are furnished for comfort making it easy for you to enjoy staying outdoors in the Margaret River region. Be it a family getaway, a romantic escape or a weekend away with friends this is an experience to remember. This is inclusive for two adults. You can book and pay for extra Adults / children as you go through the checkout. 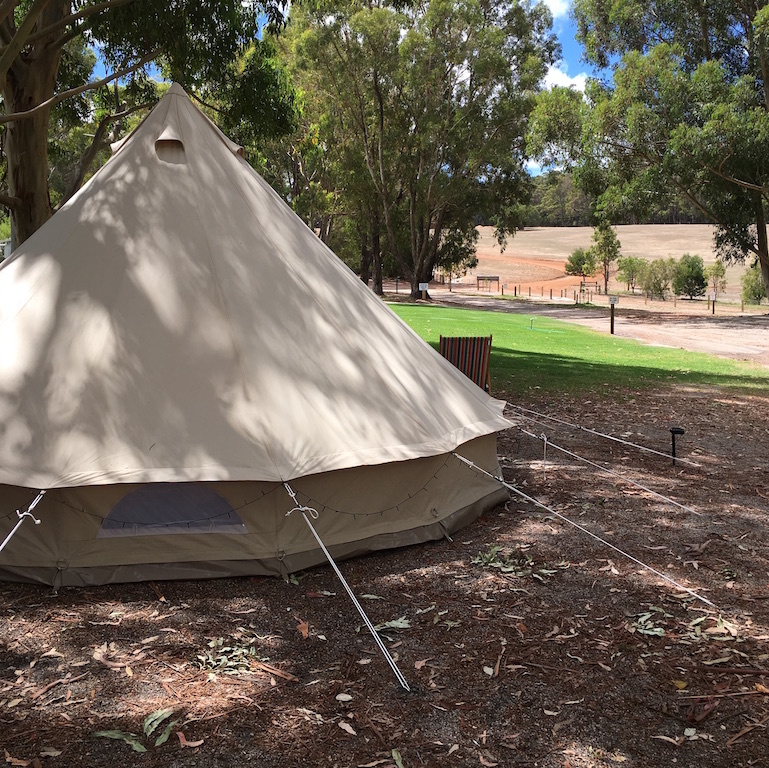 Our 5-m tents accommodate up to 5 people. are happy to travel further afield for a small travel fee.